Hello. I purchased this game yesterday as it was 60% off. I thought the videos and description were really interesting, plus the reviews seemed to be decent for this. Up my alley, who doesn’t like hack’em slashers any way? I cannot complete the tutorial, there are various bugs that lock me in. The first time though is what I remember best. I was told to double tap w, s, a, d, and to no avail. could I dodge or even move. I tried to play bots on team objectives and the objective to cause a fire or extinguish a fire would not function or even tell me where to go. There was no torch indicator irregardless of the other videos stating showing me the torches. I went up to them and could do nothing. I was only able to connect for an hour today online, all of the other 8 attempts throughout the day and now are not functioning. They state for some reason I lose connection to host. I don’t know what to say, but after googling it, there are a lot of angry people about this issue, not even writing here. I hope you can give me an answer as the next patch will not work for me, I’d like a refund before then. It is not fair to expect me to wait for a game I purchased now, that stated it was a completed work, and not be able to use it. I might’ve purchased it when it was completed if there were not a more developed game. Your first issue is because you have double tap turned off. Go to Configuration>Input in the main menu. Should be a setting there to enable double tab. For your third issue go to your Steam Library. Right click on Chivalry and go to Properties>Local Files> then click of “Verify Integrity of Game Cache”. Do this multiple times. If that doesn’t work then it’s a problem with your internet connection. 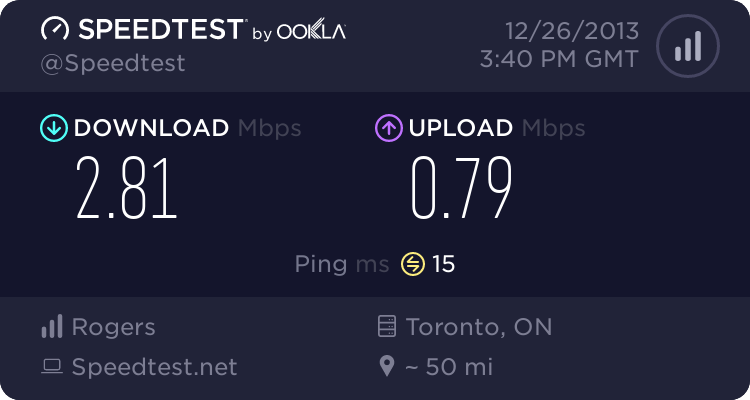 Go to www.speedtest.net and www.pingtest.net and run multiple tests. Each test should have something called “BBCode (for forums)” lower on the page. Copy all the characters in that selection box. Make another post and paste those links in your post. This will allow us to see the results of your test. OK. I’d like to thank you for you help. Man I’m happy at least I get to double tap around deadliest warrior online. I’d rather medieval warefare. -1st time (on install) 4 files needed redownload. -Now, 4 more files needed validation. Thank you, hope you had a wonderful holiday! To save us some time, I went back in and attempted to reload with the verified files. I keep winding up under the map. Frozen, but the sky at least is moving. lol. Sorry for the multiple posts, Ive been working on the expansion. It seems like the local file integ. is fubar because when I joined it stated join, blue team or join textfield (red lol). My file integrity is now again, 4 needing to be redownloaded when I tried to see how functional the game was. So, at this point, the DLC and original game now are both non-functional by not being able to connect… when I do have a connection and it used to be applicable to the game lol. I have had enough of working with this game. At this point, I am tired of it mocking me on my desktop. What is your refund policy? I got it on the 23rd. Steam states that your company handles all the refunds? I mean this game is going somewhere, but the amount of crap my system has to go through, the aggravation that I have to go through after hours of researching ways to remedy and performing them, I give up. And at this point, getting my individual PC to handle the game, would take several hours (which the company is paying its staff more per hour than I paid for the entire game to get it to run on my computer). Other steam games, online based games, working (testing connectivity) yet Chiv. does not (at the same time). Hold on now, there’s still something else you can do to diagnose the problem. Run multiple tests. Now press your print screen button. It should be to the right of the f12 key. This takes a picture of your entire screen and will allow us to see the results of these tracerts. Now open up Paint and put your cursor inside of the canvas. Press Ctrl+V and this will paste the picture you took of your desktop and will allow us to see the tracerts. Now save the picture to your desktop. Now go to the forums and make another post and click on the “insert image” button. It will be to the left of the quote symbol on the far right. Click on “From computer” and go to your desktop. Double click your picture once you find it and it should automatically insert your picture into your post for us to see. Thank you, I am glad you actually want to work through it. I thought about it, if it were able to, I wouldn’t even have a forum account (I’d be happy)… but as I said it may be a drain on you guys. So still, if it becomes too complicated, I’ll understand (engineering school fail-out lol) and we should do a refund. So, I’ll keep it short and brief from now on. The game seems to run more smoothly and I can get online with the DLC IF I use the experimental 64 bit. I expect your file to be attached, if it is not or if you require more, or anything else, please write (I am an adv. user, save your energy, only explain what is very complicated, like the tracert part was good). That is my computer up above if it helps. His ping/connectivity is fine. He is in the same city/ISP as mine. Probably just needs to reboot to restart steam. Good news. My DLC is working and is my primary. I don’t really have much to play the original over the expansion now that I have accustomed myself to the new system. Unless something changes, I am happy.